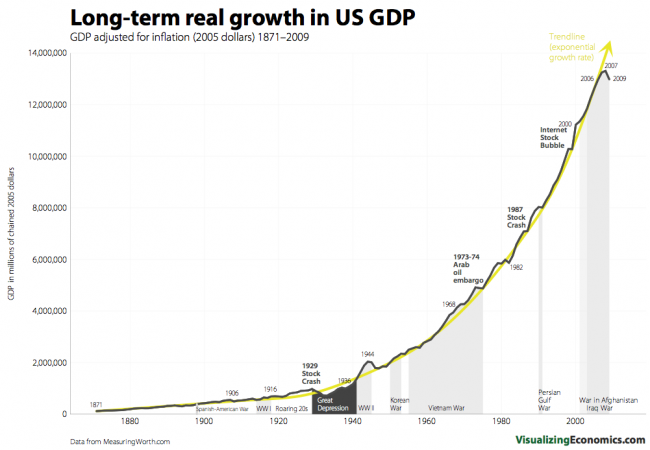 This time I am plotting United States GDP as a comparison to my first graph US Stock Market Growth since 1871 in this series. You will notice that the 2009 US GDP dropped to 2005-2006 levels as a result of the recent financial crises. Log scale version coming tomorrow.